Shakespeare, even in 1599, knew the great importance of bees in society saying in his play Henry V: “for so work the honey-bees, creatures that by a rule in nature teach the act of order to a peopled kingdom.” This sentiment may seem all but forgotten in recent times, as the mysterious Colony Collapse Disorder (CCD) has plagued beehives since 2006. It has caused a dramatic decline in the number of bees throughout the nation accounting for the loss of approximately 30% of hives. CCD is yet to be linked to one specific cause, but it has been speculated that much of it is rooted in anthropogenic sources such as climate change and increased pesticide use. Shakespeare would be quite disappointed in our “peopled kingdom” if he were around to witness such a profound tragedy, or he might just write a sonnet about it; either way, the loss of bees has some serious implications to society. 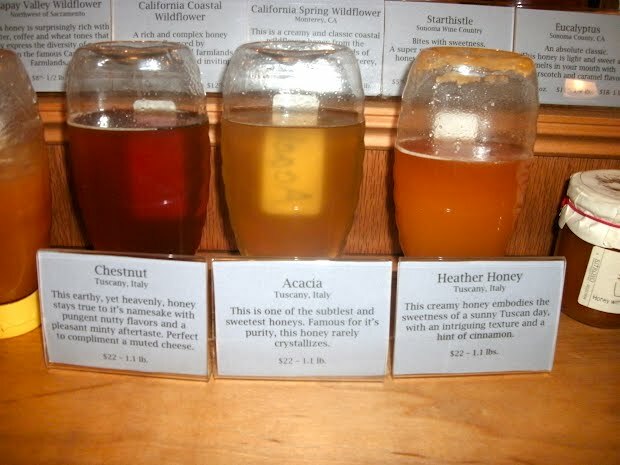 Being a honey lover, one such concern would be a lack of delicious, gooey, sweet, and wholesome honey. Could anyone imagine a world without honey? (What in the world would Pooh Bear stick his cute little paw in?) Thankfully, we don’t have to trouble our imaginations with that kind of world just yet. I have noticed a common theme throughout farmers markets that leads me to believe bees are making a come back. Local bee stands have been prominent, and proudly selling natural, raw, antibiotic and pesticide free, golden delicious honey! Queen of Sheba Honey Farms and Beekind Honey were among the local honey vendors that captured my interest for reasons beyond their free samples of honey. Both of their businesses exuded a sense of genuine passion and care for the art of beekeeping. This kind of beekeeping will surely eradicate disease and coax our bees into staying around. My first experience with this renewed sense of hope for our honey-makers came after visiting Queen of Sheba Honey Farms, a quaint and quirky honey shop located on the outskirts of Berkeley, California. I became immediately enamored with this peculiar yet warm little shop. It is reminiscent of a beehive – calm and quiet on the outside, while inside lies a bustling little space full of life, honey, and endless activity. Owner, Khaled Almaghafi, may have done this intentionally as his philosophy on bees reflects that of Shakespeare’s: We are the students, while bees are the teachers. He proclaims, “We learn a lot from bees. We learn how to be social. We learn how to give, not only take. They give us honey. They pollinate and give us fruits and vegetables. They give us medicine. And they don’t ask for anything in return.” This is the kind of beekeeper we should support for they are the ones who have a true connectedness with their bees, which will ensure a long-lasting relationship between human and bee. 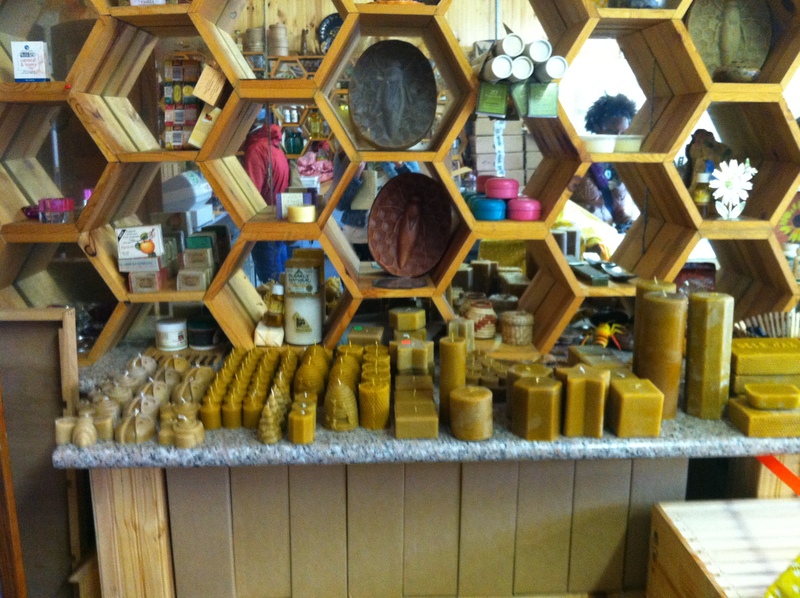 Khahled’s outlook and veneration for bees is reflected in all of the products he offers at the shop. There are various bee-related items including honey themed treats, beeswax candles, bee starter kits, and most importantly raw, natural honey from healthy, local, and wild bees, never treated with antibiotics. 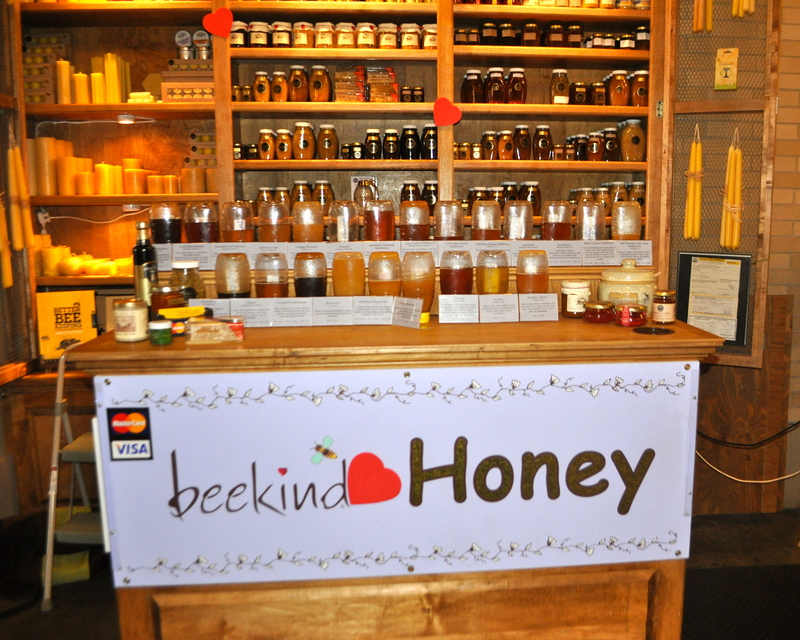 The next shop I stumbled upon drew me in by its pleasant name: Beekind Honey. This is an elaborate and colorful honey stand located in the heart of the Ferry building in San Francisco. It boasted of a plethora of honey from various local sources, including their own honey farm consisting of 200 hives, all naturally raised and antibiotic free. Although their honey is absolutely delicious, I found the services they offered to consumers most inspiring. Beekind Honey not only provides bee starter kits, they also offer lessons on beekeeping and often buy honey back from their apprentices turned beekeepers. This cyclical system of beekeeping promotes a sense of community and brings people together around a healthy and sustainable trade. It also encourages people to dabble in the art of beekeeping in a time when bees are in such dire need of tender care and repopulation. Recently, bees have been taking the brunt of many anthropogenic sources in modern society. Their ability to cope with such things like climate change and increased pesticide use has been deteriorating as evidenced with the increase of CCD. Fortunately, all hope is not lost for our hard-working bees; local beekeepers, such as Khaled from Queen of Sheba Honey Farms, have been cultivating mutually respectful and beneficial relationships with our buzzing buddies. Other local bee businesses have been encouraging the art of beekeeping in hopes of reviving the trade of beekeeping and re-populating bees. With passionate people fostering such ventures, I won’t stop bee-lieving in a world where a peopled and bee kingdom can co-exist in harmony. This entry was posted in Food Warrior Interns, In the Pantry (food artisans) and tagged Beekind Honey, bees, Colony Collapse Disorder, food warriors, honey, lauren telfer, Queen of Sheba Honey Farms, Real Time Farms. Bookmark the permalink.